What’s a girl to do when her clean cooking partner-in-crime is 200 miles away? Chelsea & I love new healthy recipes. (**By the way, she launched her own blog! —–> seasunseasmiles.wordpress.com**) Being in different cities calls for creativity. We “baked” together via Skype and the result was these unbelievably-delicious-not-to-mention-super-clean cups. Chelsea’s batch came out significantly better than mine because I decided to add Greek Yogurt, which seriously disturbed the texture. I threw the batch out and made another. 50x better. 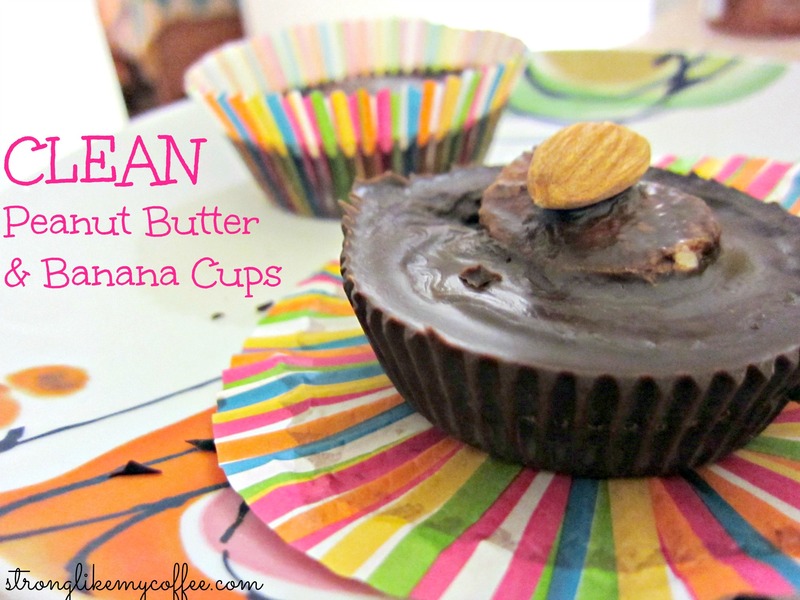 Peanut butter and coconut oil are clean, yes, but also very calorie-dense.I decided to add a fat slice of banana to the middle to make each cup more substantial without adding another 100+ more calories. 1.) Mix the coconut oil, cocoa, salt, honey and stevia together. 2.) Spoon 1/2 tablespoon of chocolate into each wrapper (makes 4) and freeze for 5 minutes. 3.) Spoon 1 tsp peanut butter onto the chocolate. Top with a slice of banana and add another spoonful of chocolate mixture. 4.) Allow to completely freeze, about 30 minutes. There’s your clean dessert! A perfect serving-size indulgence free of any chemicals, preservatives, additives and processed sugars. I’m eating one for dessert right now while I catch up on Grey’s Anatomy :) Sound like a low-key Friday night? Well that’s because I’M RACING A 5k TOMORROW MORNING! Posted on April 11, 2014, in Blogging, Dessert, Healthy Habits and tagged chocolate, clean eating, clean peanut butter cups, college, Dessert, fitness, health, healthy, nutrition. Bookmark the permalink. 3 Comments. Yum! 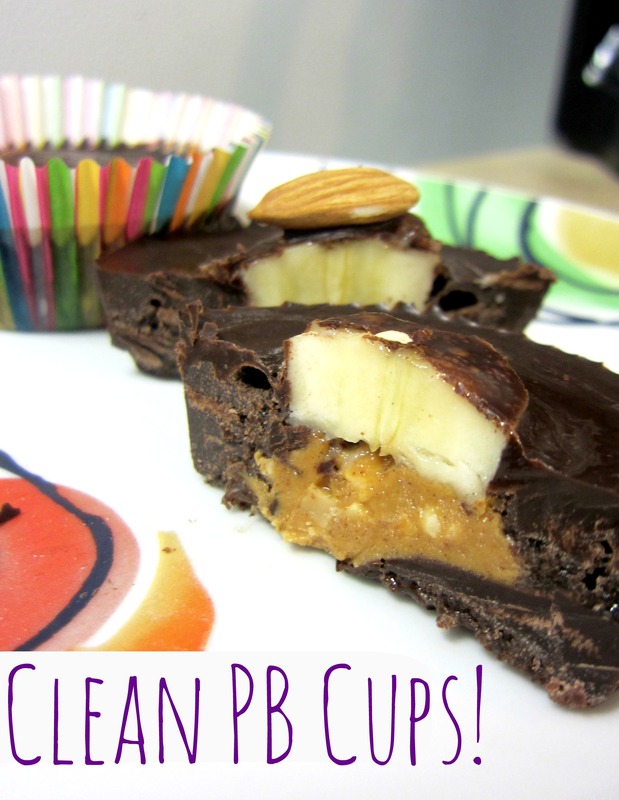 I love peanut butter cups and these look like a great alternative to Reeses! Oh, YUM. My mum has embarked on a paleo lifestyle, so I hope I can make these for her (or just me) when I visit! Yummmmmmmmm. What perfectly cute little “candy cups”. We definitely look forward to having some of these for desserts!! !